This is online Qualification Round to participate in ONSITE FINAL at MNIT JAIPUR. 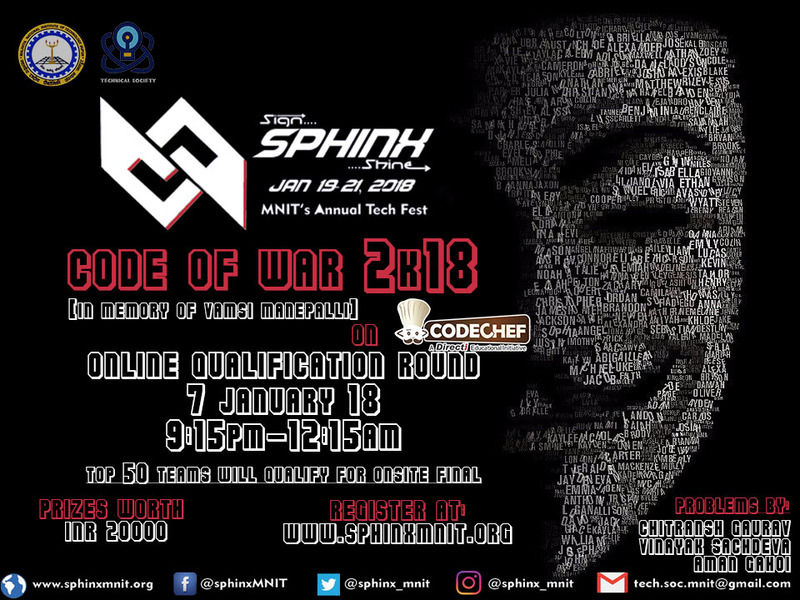 Registration of team on http://sphinxmnit.org/core-love-event is mandatory for prizes and be eligible for the event. Please contact technical.society@mnit.ac.in for any queries during the contest.